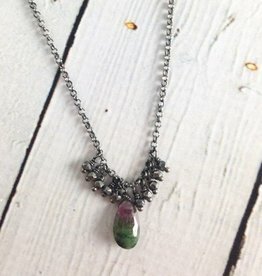 Handmade Silver Necklace with ruby zoisite brio, oxidized faceted silver. Necklace measures 16” long with 2” extension. Handmade by Evan Knox in her Brown County Studio.